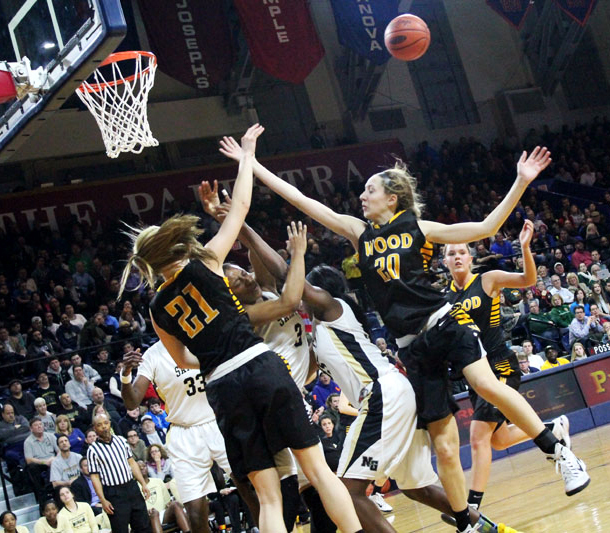 Claire Bassetti (left) of Archbishop Wood trails Neumann-Goretti’s Sianni Martin. 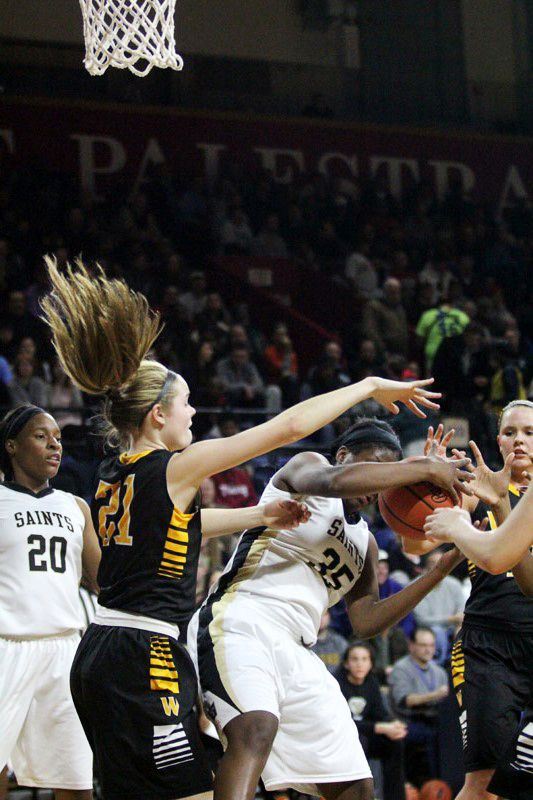 Christina Aborowa (left) calls for a pass as Katie May defends. 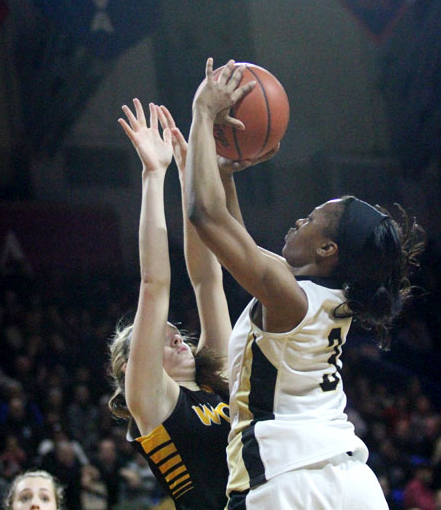 Neumann-Goretti’s Aiesha Kebbe (4), Wood’s Aubree Brown (11), N-G’s Felicia Aiyeotan (30) and Wood’s Bailey Greenberg (21) battle for the ball. 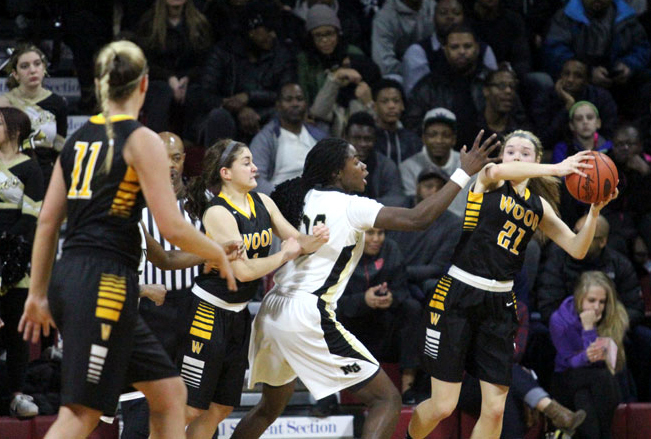 Wood’s Karly Brown looks to make a pass. 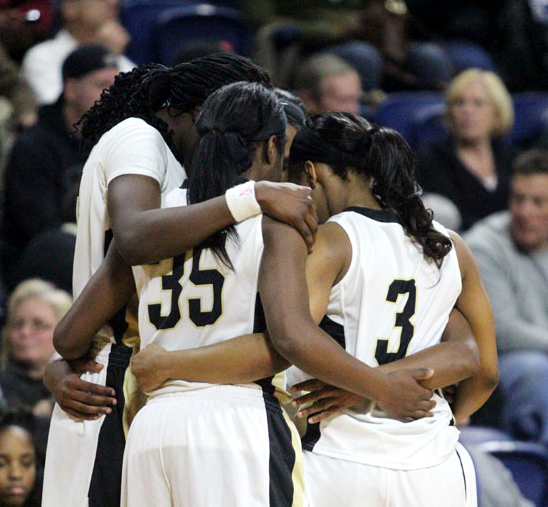 The girls of Neumann-Goretti celebrate their Catholic League Championship win. 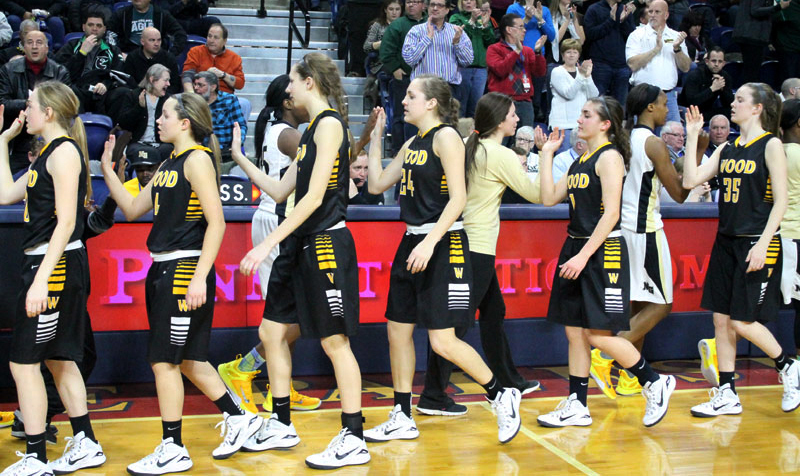 Good sportsmanship by players, coaches and fans marks the postgame atmosphere of the championship. 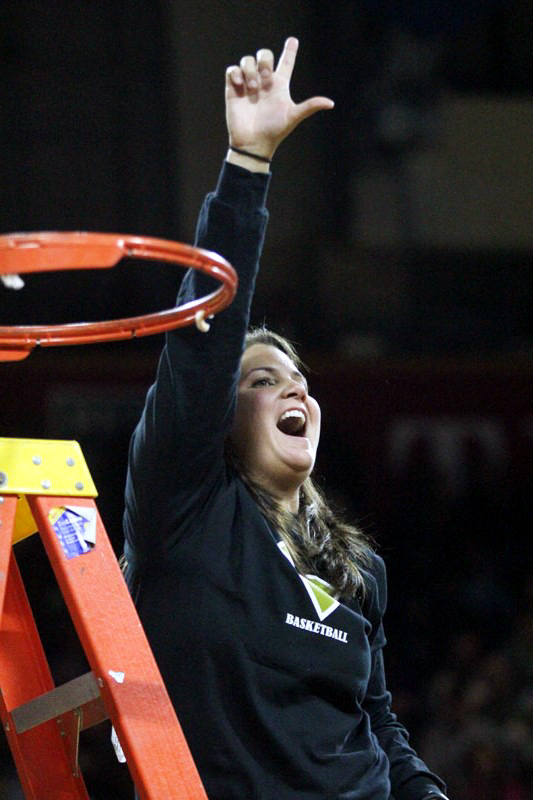 Neumann-Goretti coach Andrea Peterson is jubilant after the victory and traditional cutting of the net after the game. 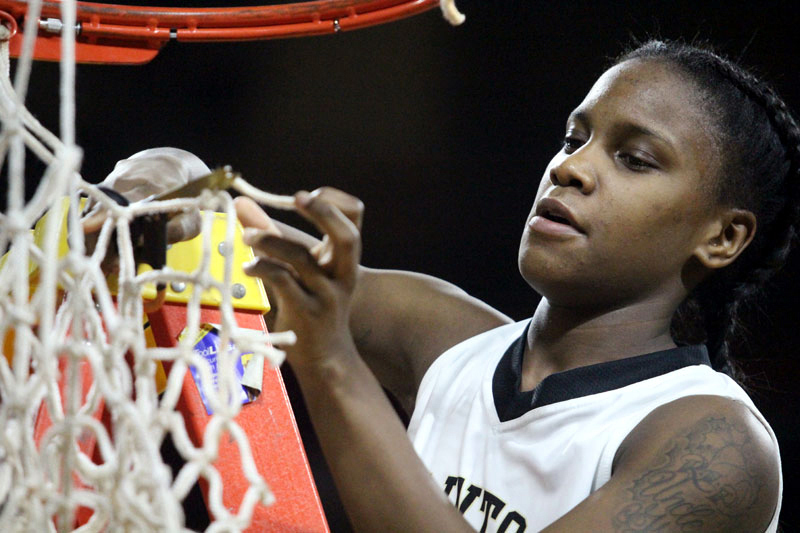 Senior star guard and team leader Ciani Cryor cuts the net in a victory celebration for Neumann-Goretti after winning the Catholic League championship. 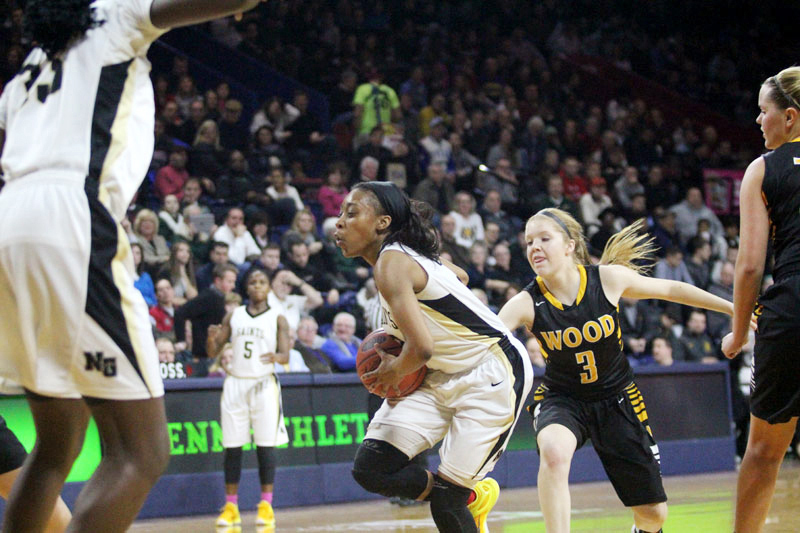 Wood’s Shannon May (left) defends N-G’s Ciani Cryor. 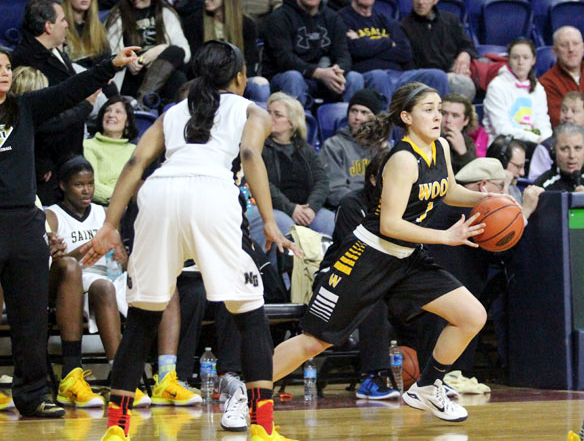 Wood’s Aubree Brown (11) launches a three-point attempt. 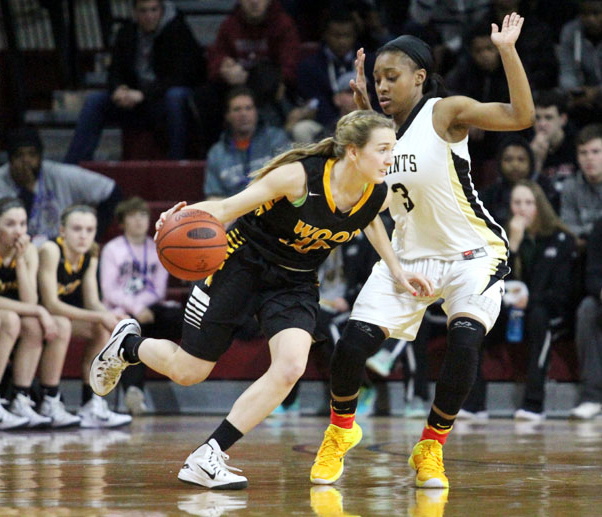 Kate Connolly (left) guards N-G’s Sianni Martin. 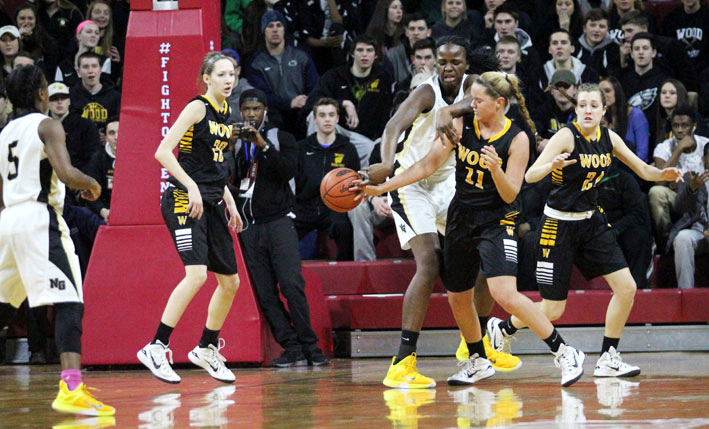 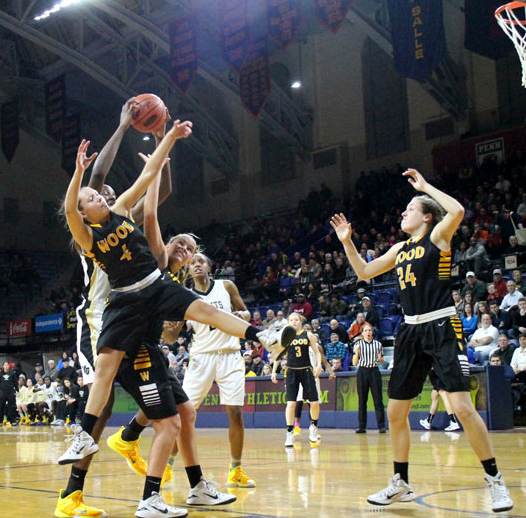 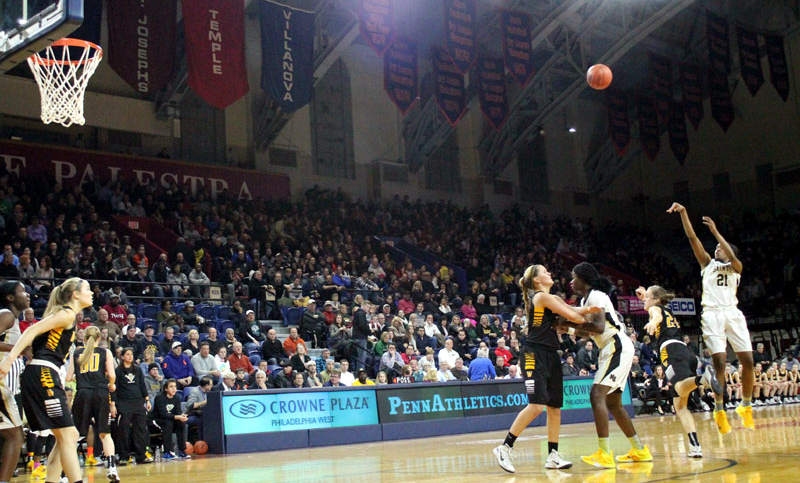 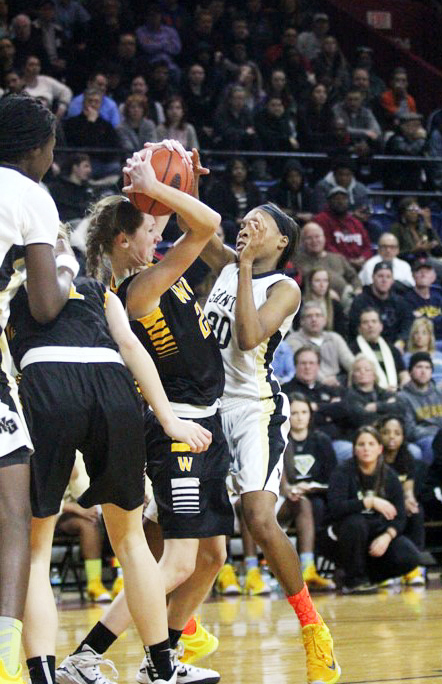 Bailey Greenberg (21) of Archbishop Wood guards Alisha Kebbe of Neumann-Goretti. 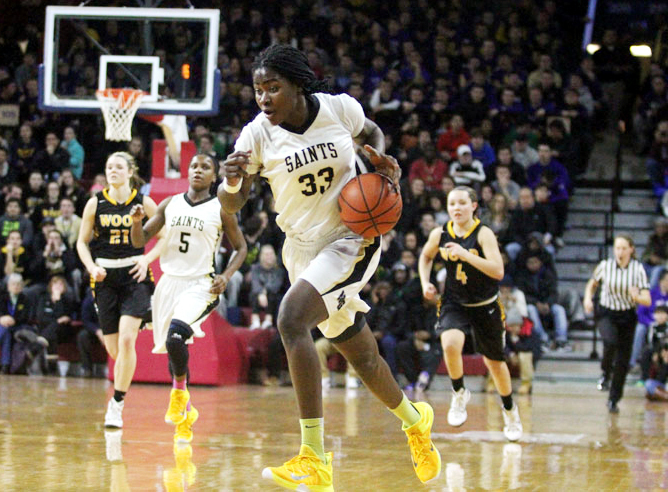 Christina Aborowa brings the ball up the court. 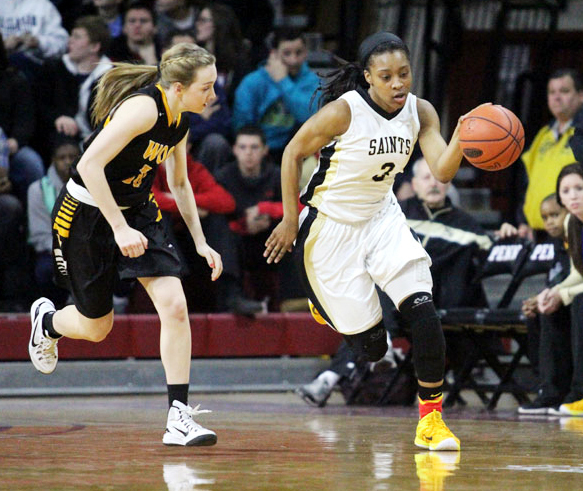 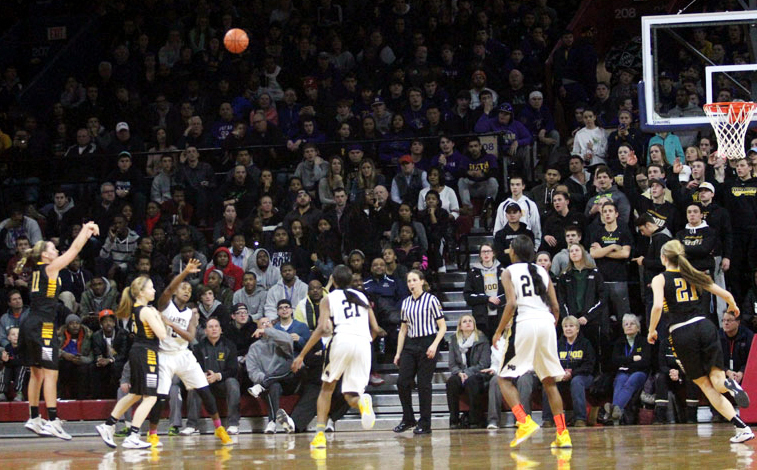 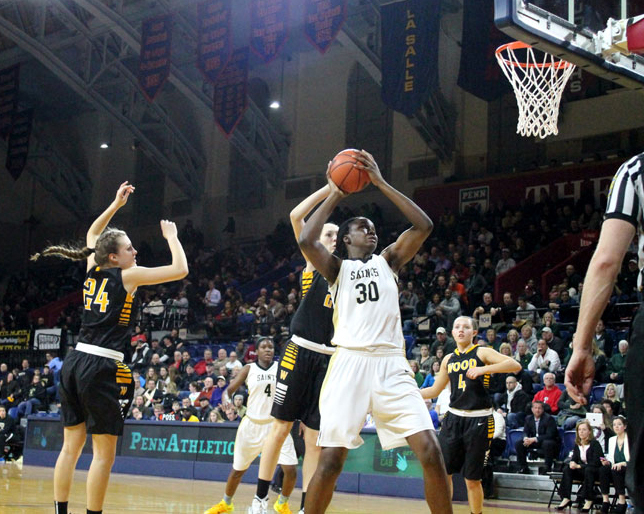 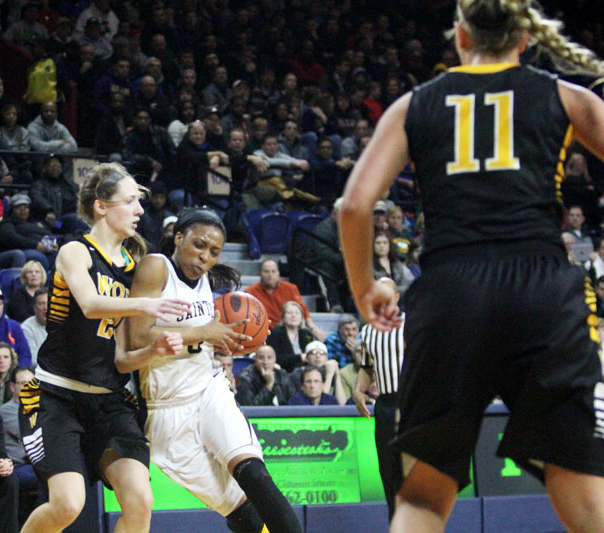 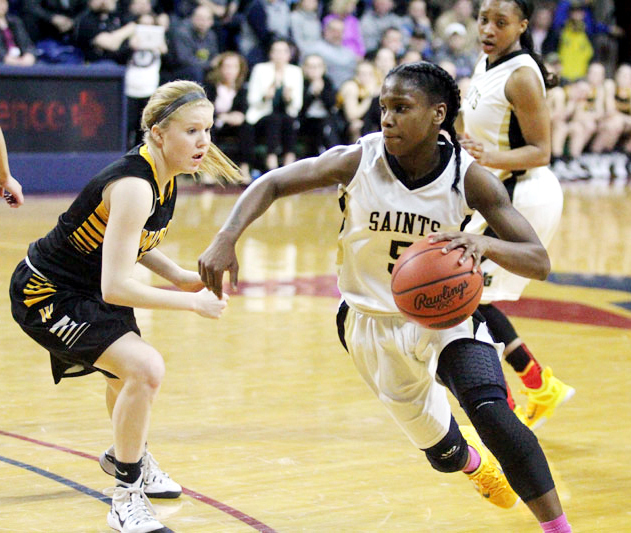 Sianni Martin (left) of Neumann-Goretti drives to the basket past Archbishop Wood’s Shannon May. 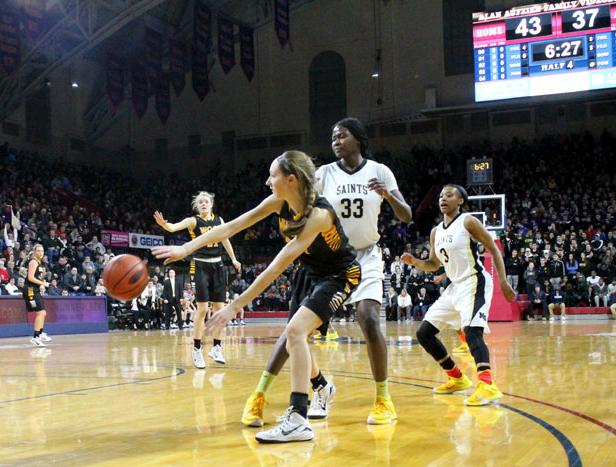 Kate Connolly (left) and Sianni Martin battle for control of the ball. 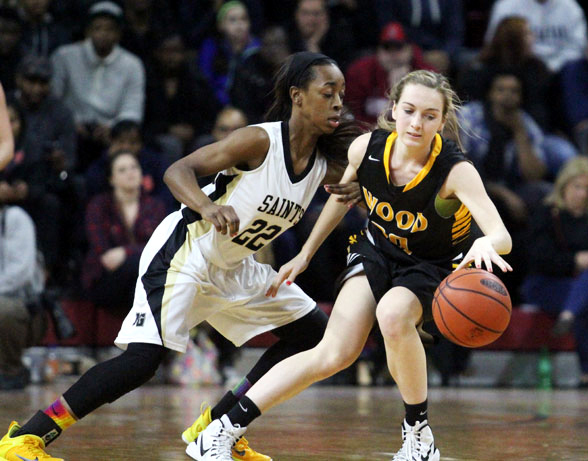 Bailey Greenberg (left) of Archbishop Wood defends against a shot by N-G’s Sianni Martin. 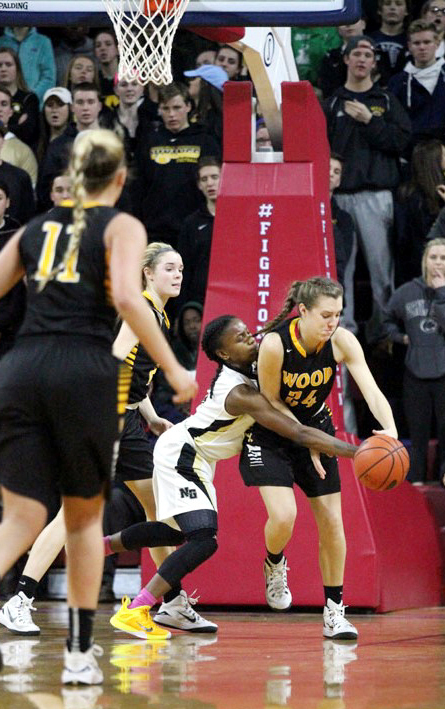 Wood’s Claire Bassetti (left) tries to drive around Siani Martin. 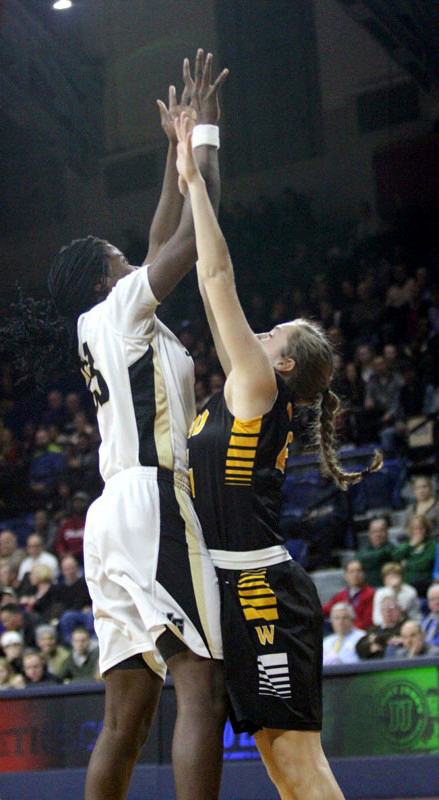 Jada Russell (left) guards Claire Bassetti with tenacity. 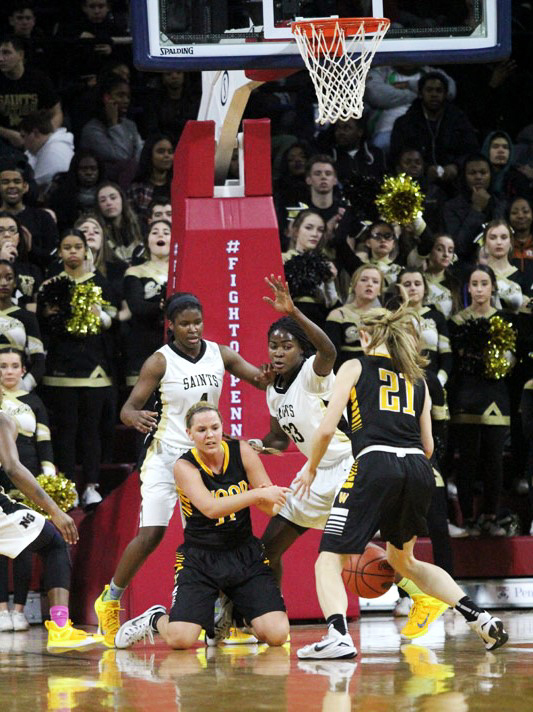 Bailey Greenberg (21) looks for a way to pass around N-G’s Felicia Aiyeotan.